8.4 ISIS Attacks in the U.S. In this essay about ISIS attacks in America, we examine attacks by the terrorist organization ISIS, which have occurred on U.S. soil. Because of the structure of ISIS/ISIL, which operate in cells, it can be extremely difficult to determine whether a terrorist attack carried out by someone claiming to be working on behalf of ISIS was actually directed by ISIS. Therefore, for the purposes of this essay, we are working on the assumption that attacks by people who appear to be radicalized Muslims and claim a personal affiliation with ISIS are, indeed, ISIS attacks. This essay will give some background information on ISIS and explain how it is structured. It will discuss how ISIS is effectively using terrorist attacks outside of the United States and its plans to translate that strategy into one that will be effective in the United States. In this essay we will not only discuss current ISIS terror attacks, but also whether the strategies the country is currently using to try to prevent terrorist attacks are likely to be effective. In addition to discussing ISIS attacks in America, this example essay will show you how to write an essay by providing examples of: the introduction, a thesis statement, body paragraphs combining evidence and analysis, and a strong conclusion. The essay concludes by recapping the information presented in the essay as well as thoughts about the future of ISIS attacks in America and what the country can do to help reduce the risk of those attacks. ISIS Is Coming to America, Or Is It? Are Domestic Attacks by ISIS the Result of Terrorists Coming to the United States or of Radicalization of People Inside the United States? Radical Islamic Terrorism- What is radical Islamic terrorism? How does it differ from the Islam practiced by the majority of Muslims? Does the religion, itself, promote violence, or is terrorism a corruption of the religion. Afghanistan and Russia- How did Russian involvement in Afghanistan help bring about a modern era of terrorism? While the mujahedeen fought with the United States in Afghanistan to repel Russian forces, they have since become radicalized against the Western world. What are the roots of this radicalization and can the schism ever be bridged? Domestic Violence and Domestic Terrorism- While the media is quick to focus on the religious or political affiliations of people who commit mass killings when they are brown, the real answer to domestic terrorism may involve domestic violence. Regardless of religious or political affiliation, most people who commit mass homicides in the United States have a documented history of domestic violence. Is failure to respond adequately and appropriately to these charges part of the reason that the United States is struggling with a huge domestic terrorist problem? E. ISIS attacks on the U.S. In order to understand ISIS attacks in America, it is important to understand the roots of what is often referred to as “radical Islamic terrorism.” Radical Islamic Terrorism refers to terrorism by a group claiming to be Muslim and stating that the terrorism is done in order to fulfill religious obligations or further political/religious goals. Religious terrorism is nothing new and is not limited to people of the Muslim faith. In fact, the long history of political terrorism can often be traced to fundamental conflicts about religious beliefs. However, radical Islamic terrorism has gained increased notoriety because, globally, it presents one of the largest sources of terrorist threats, even if it is still only responsible for a small portion of global violence. Most people in the United States were not really aware of radical Islamic terrorists prior to 9-11. On 9-11, a group of terrorists from the organization Al-Qaeda used box knives in a well-orchestrated attack on American airplanes. They then used those airplanes as missiles and aimed them at highly-populated buildings in highly-populated areas to maximize destruction. On 9-11, these terrorists were able to successfully use planes as missiles to destroy the World Trade Center in New York City, and damage the Pentagon. When passengers on a fourth plane became aware of the terrorists’ intentions to use the planes as missiles, they were able to take back the plane, which resulted in it crashing in a relatively unpopulated area of Pennsylvania. 9-11 was the largest terrorist attack on American soil, and brought attention to the concept of radical Islamic terrorism and the concept of jihad. Like other religions of peace, Islam had one of its most inspiring concept, Jihad, perverted by those seeking power, and terrorists claiming allegiance to ISIS now use this concept to slaughter people around the globe. Although domestic terrorism by radicalized white Christian males still poses more of a threat to the average American, there is no question that an increasing risk of ISIS attacks on American soil is a reality that Americans need to acknowledge and address before they become as prevalent as they are in Europe. In order to understand any variety of radical Islamic terrorism, it is necessary to understand the concept of Jihad, at least as interpreted by terrorist groups like Isis. To most Muslims, Jihad is not a violent or radicalized concept. In fact, violent Jihad is specifically prohibited by the Koran except for under very specific circumstances. 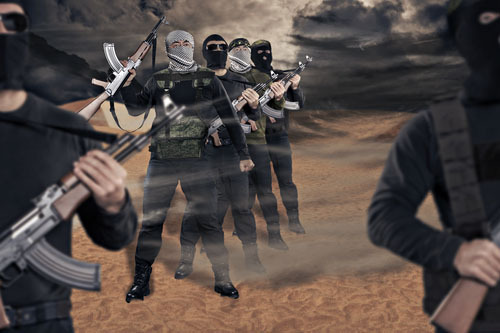 Jihad is a concept that refers to any type of struggle against the enemies of Islam and is, for most Muslims, conveyed as more of a spiritual type of struggle. Jihad is often used to refer to an individual’s efforts to become a better Muslim. Even in those rare instances when a violent action is considered part of Jihad, it must be declared by a proper authority and the war must be considered a just war. However, there is no question that the concept of Jihad has been highjacked by terrorists. They use the concept of Jihad to promote the establishment of what they call an Islamic state. This Jihad not only targets non-Muslims, but is also being used against Muslims around the world. In many ways, the best way to view it is as if the terrorist leaders were using the concept of Jihad simply as a motivational tool, stripping it of any real religious authority while still claiming religious justifications for actions that all actual practicing Muslims would believe violated the Koran. Another important thing to understand is that, much like Christianity’s division into two broad groups: Catholics and protestants, Muslims are split into two big groups: the Sunni and the Shia. Both groups consider themselves to be the one true Muslim faith, which has led to division and violence between Muslims and also helps explain why some Muslims are targeted by ISIS attacks. When the prophet Muhammad died in 632 AD, Muslims split into two groups because of a disagreement about who was the appropriate successor for the prophet. The Shia believed that only Muhammad’s descendants could lead the religion, which led to the formation of a religious leadership that was based along the same lines as a monarchy. The Sunni believed that any of the worthiest Muslims should be considered for leadership. 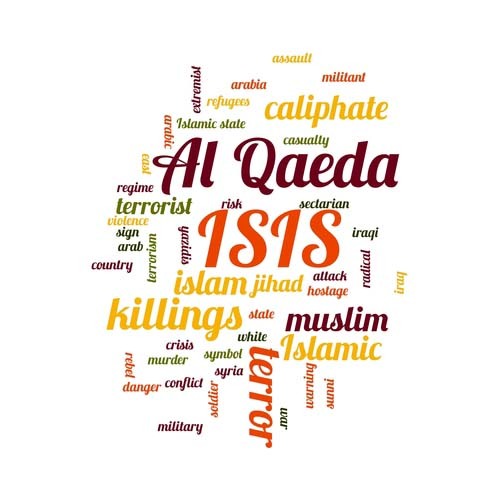 Given that Al Qaeda and its leaders were the number one U.S. public enemies for a very long period of time, many people assume that ISIS is simply Al Qaeda with a new name. While it is true that ISIS’s original leader, Abu Musab al-Zarqawi, was part of Al Qaeda, almost as soon as he branched off from Al Qaeda there were apparent differences between the two groups. Perhaps the most significant difference is that ISIS considers itself an Islamic caliphate. Its goal, which it has largely accomplished in the Middle East is to take over territory and spread the Islamic state in those areas. This is a different ideological approach than the one taken by Al Qaeda, and this difference is important because it impacts how ISIS uses violence. Both groups have an extreme ideological opposition to the West. However, while Al Qaeda seemed more focus on disruption, ISIS is more focused on acquisition. In other words, Al Qaeda hoped to form a global movement of Muslims that would contain the Westernization of the world, while ISIS hopes to regain territories that have already been Westernized and eventually include them as part of the caliphate. Therefore, even very similar terrorist attacks may have significantly different motivations. What both organizations have in common is that they eschew traditional top-down leadership structures. Instead, they use cells to accomplish their terrorist acts. These cells often work in almost complete isolation, not coordinating with any other cells. It makes it impossible for people to determine the true size of ISIS, how many countries it is in, or even the extend of its presence in those countries. It also makes fighting them incredibly difficult. This cell structure proved invaluable for Al Qaeda in its early days, , “al-Qaeda was linked—whether directly or indirectly—to more attacks in the six years following September 11 than it had been in the six years prior, including attacks in Jordan, Kenya, Saudi Arabia, Indonesia, Turkey, the United Kingdom, Israel, Algeria, and elsewhere” (Encyclopaedia Britannica, 2016). Although Al Qaeda remains active, its loss of Bin Laden impacted its global effectiveness and ISIS became the real threat. You may have heard of ISIS referred to in a number of different ways. ISIS, ISIL, IS, and Daesh all refer to “the jihadist group which controls large swathes of territory in Syria and Iraq” (Irshaid, 2015). It is the organization responsible for most of the radical Islamic terrorist attacks around the globe. Not only does it control most of the Middle East, but it is also responsible for a dramatic increase in terrorist attacks in Europe. Because weapons are more difficult to acquire in Europe, ISIS has been promoting the use of vehicles to effectuate mass homicides. Though any one of these strikes may not injure a huge number of people, they are easy-to-plan, easy-to-carry-out, and almost impossible to completely prevent, making them a very effective tool for terrorism. ISIS Attacks in the U.S. The first ISIS attack in the United States occurred in 2014 when a man who had recently converted to Islam and who had ties to ISIS attacked four police officers with a hatchet. The perpetrator was killed during the commission of the attack, which made it impossible to question him about his motives. The attack is assumed to be ISIS-related and has been labeled terrorism, but the attackers lengthy history of criminal violence and instability could just as easily support a mental illness hypothesis. The attacker, Zale Thompson, was a former member of the U.S. Navy who was involuntarily discharged. He was arrested at least six times in connection to domestic violence, though never convicted of the charges. Before the attack, he was a frequent visitor to known terrorist websites, but does not appear to have had any actual contacts among terrorist groups. As a result, this attack seems more ISIS-inspired than an actual coordinated attack by ISIS. This is an important distinction, because if ISIS can inspire homegrown radicalized terrorists to plan and commit their own attacks, then they can inspire terror with very minimal effort. In May 2015, an attack with a much clearer relationship to Islam, occurred. Two men shot at police officers who were guarding the entrance to the Curtis Culwell Center in Garland, Texas, where an art exhibit featured images of Muhammed. In Islam, it is prohibited to portray Muhammed. Once again, the perpetrators were killed during the commission of the crime. ISIL/ISIS took responsibility for the crime, but law enforcement did not find any evidence that anyone other than the two perpetrators committed the crime. It seems like another incident of ISIS inspiring radicalized people to take terrorist actions without having any responsibility or direction for actually planning the attacks. In December 2015, a married couple opened fire on the Inland Regional Center in San Bernadino, killing 14 people and seriously injuring over 20 others. The husband was a U.S.-born citizen and the wife was a lawful permanent resident of the United States. They were eventually killed in a shoot-out with police after initially fleeing the scene of the crime. Characterized as homegrown terrorists, they were inspired by terrorist groups, had visited Saudi Arabia, and had amassed a weapons stockpile. They did have co-conspirators, but, like the other terrorists, they do not seem to have been part of a cell structure. However, one of the challenging aspects of cell-structured terrorist organizations is that the lack of cohesive units and the fact that they discourage communication between groups means that it can be difficult to differentiate between an established cell and lone-wolf operators. Something about this couple was different from prior attacks; they had a long history of promoting terrorism and they had stockpiled the weapons necessary to carry out those goals. In 2016, the Pulse nightclub massacre became the largest gun massacre in the United States, though it is no longer the deadliest. It was committed by a single actor who targeted Pulse because of a professed hatred for the LGBT people who frequented the club. Many people labeled this a terrorist attack, and, it is certainly true that, like the other Abrahamic religions, Islam has a history of being anti LGBT. The shooter claimed allegiance to ISIL and told a hostage negotiator that the shooting was motivated by U.S bombings in Iraq, but no evidence was ever found connecting him to ISIS. In November 2016, at Ohio State University a terrorist used a car to kill and injure people. The attacker was a Somali refuge and he was found to be a radicalized Muslim. ISIS took credit for attack and said it was a response to their call for individuals to carry out terrorist attacks. However, once again, there was no evidence of communications between the terrorist and the organization. In October 2017, a man drove a flatbed pickup truck into a group of pedestrians and cyclists in New York City, killing eight people. The perpetrator was shot, but survived. While the attack is still being investigated, a flag and a document pledging allegiance to ISIL were found in the truck. However, like the other people who have carried out ISIS attacks in America, he seems to have been self-radicalized and acting without direction from anyone actually in the organization. What does it mean that all of these radicalized terrorists are committing actions in the name of ISIS without having any apparent contact with ISIS? Unfortunately, it seems to mean that ISIS is very successful at encouraging this type of violence. ISIS has used social media to describe how to use a vehicle to commit a terrorist attack, and this type of attack has been very successful in Europe. Now it appears to be coming to the United States. All ISIS has to do is wait for some disgruntled, angry person to decide to use Islam as his excuse for violence, commit the terrorism, and say it was done for them. Of course, the attacks themselves do not actually forward any type of real political agenda. They are, in execution and impact, almost identical to the type of mass shootings and other killings that have become commonplace in modern America. However, because the shooters choose to claim allegiance to a radicalized version of a religion that is only practiced by a minority of Americans, these attacks serve to increase distrust, xenophobia, and racism in the United States. This increase in negative feeling, in turn, will fuel feelings of isolation among the very people most likely to be involved in terrorist attacks- angry, young males. This makes it likely that the United States is only going to see an increase in attacks credited to ISIS, and, because many of these terrorists have been homegrown, that closing our borders will have only a negligible impact. The terrorist group ISIS has been linked to a number of terrorist attacks in the United States since 2014. However, the nature of these attacks have tended to be lone wolf perpetrators who are not coordinating their activities with ISIS. Instead, they are inspired by ISIS and essentially forming their own small terrorist cells. There is no proven way to fight this form of terrorism, which present challenges for leadership in America and around the globe. Business Insider, 21 May 2015. http://www.businessinsider.com/difference-between-isis-and-al-qaeda-2015-5. Accessed 29 November 2017. Encyclopaedia Britannica. “Al-Qaeda.” 14 October 2016. https://www.britannica.com/topic/al- Qaeda. Accessed 19 November 2016. Irshaid, Faisal. “ISIS, ISIL, IS, or Daesh? One Group, Many Names.” BBC News, 2 December 2017. http://www.bbc.com/news/world-middle-east-27994277. Accessed 29 November 2017. Hopefully this ISIS Attacks in America example essay has helped you gain a better understanding of ISIS, ISIL, and radical Islamic terrorism in the U.S. 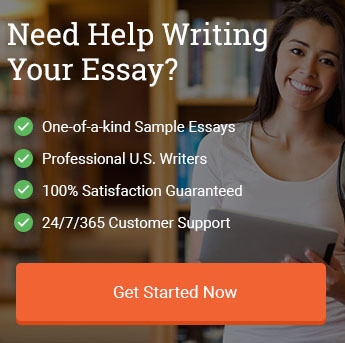 Furthermore, it should have provided you with a good format for writing an informative or expository essay. This topic is subject to constant update and is more complex than can be conveyed in a short essay, which highlights why you may want to focus on specific elements of the topic in your own academic writing. If you have any questions about how to write an essay about ISIS or any other complex topic, please contact us for assistance. "ISIS Attacks in America Essay." Aceyourpaper.com. Student Network Resources Inc, 29 November. 2017. Web. 18 April 2019. Student Network Resources Inc. "ISIS Attacks in America Essay." Aceyourpaper.com. https://www.aceyourpaper.com/essay/isis-attacks-america-essay/ (accessed April 18, 2019).